I don’t know about you, but a holiday dinner is never complete without a very special salad. It needs to be lite due to all the other rich entrees and sides, but still more special than your typical daily salad. 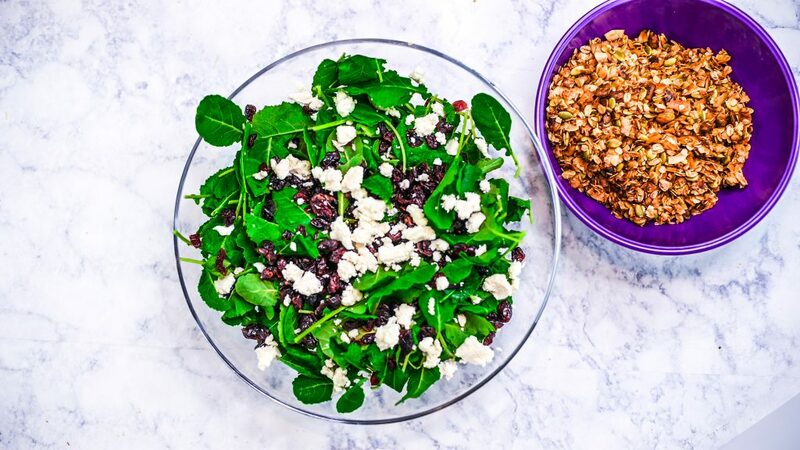 So I came up with salad to help pack in nutrition and add interest and beauty to your menu! 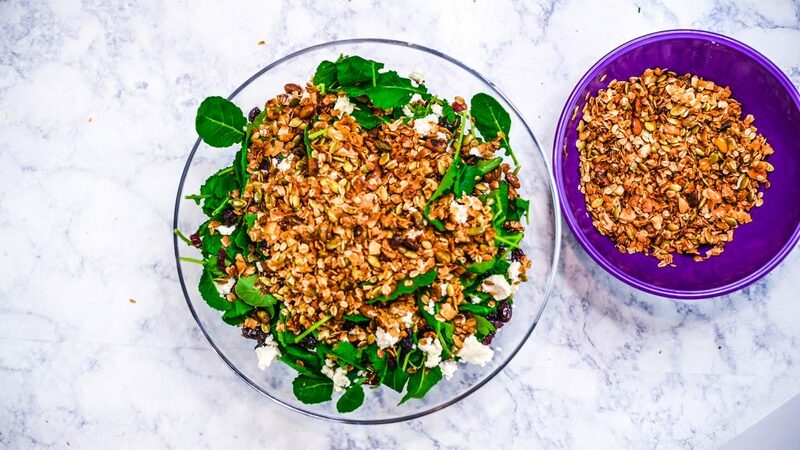 The show stopper of this salad is definitely the homemade granola! 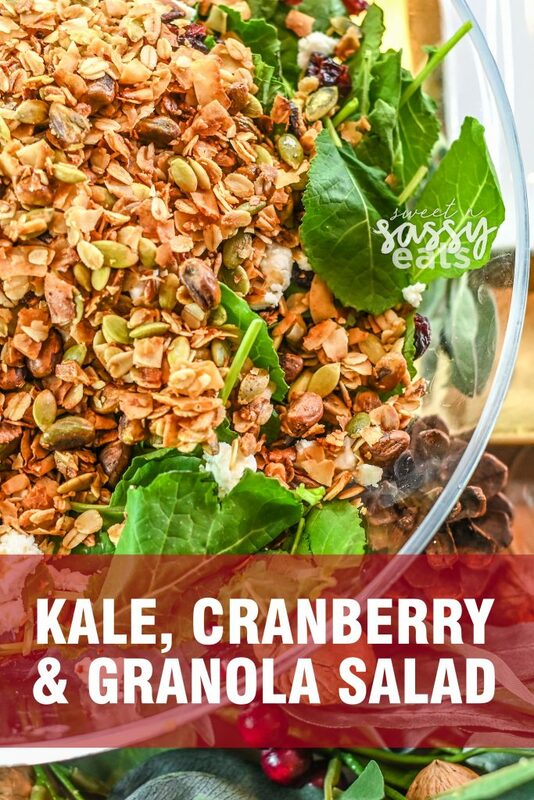 It is the perfect mix of salty and sweet plus it give s great crunch to the salad. 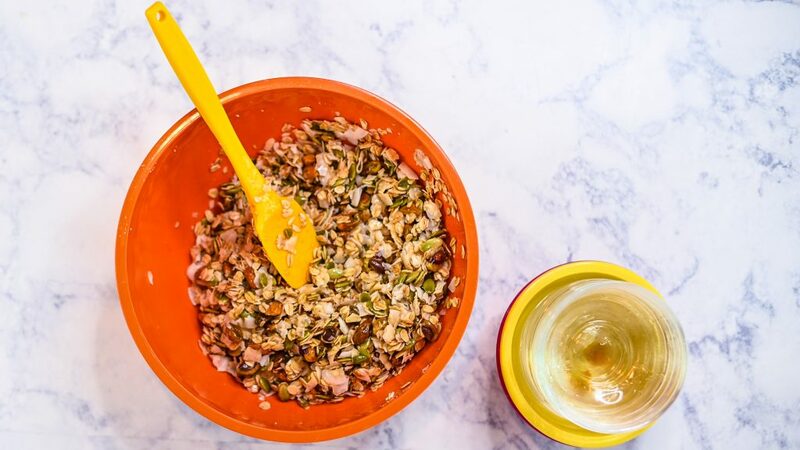 The recipe does leave you with some extra granola to enjoy with yogurt, or more salads later, so you’re welcome! 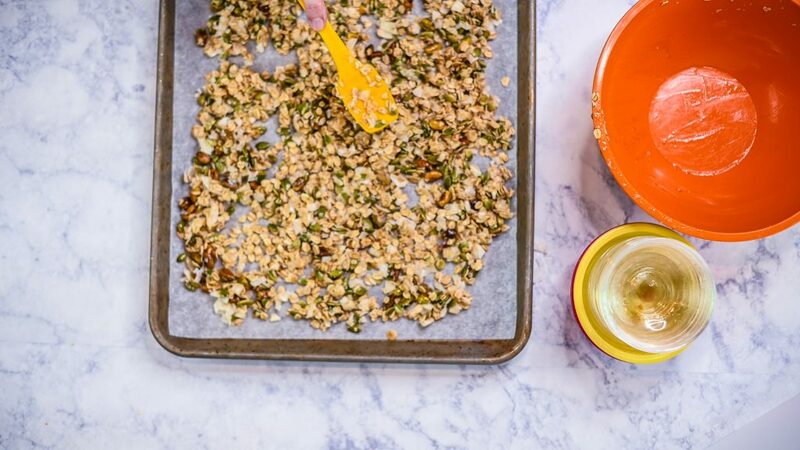 You can make this granola ahead of time so that on the day of you are just tossing everything together. 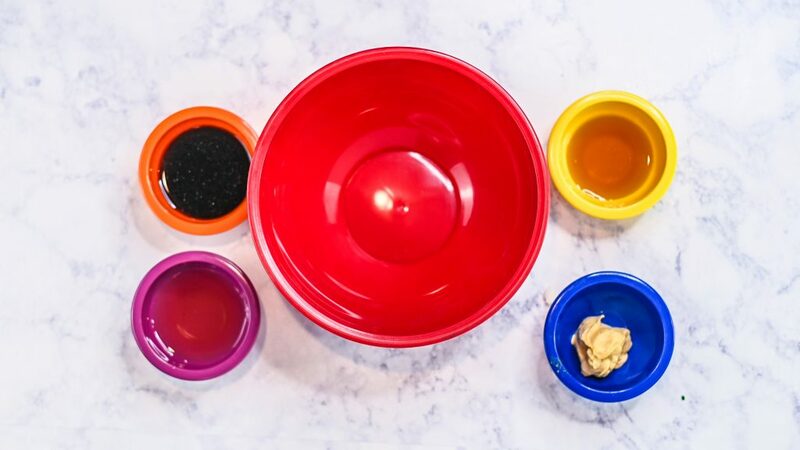 This is one of my go-to dressing, it’s simple and fast! I add different herbs and seasonings to complement the ingredients in the rest of the salads or in the meal it accompanies. In this salad though, I leave it pretty basic. You can whip this up ahead of time too! 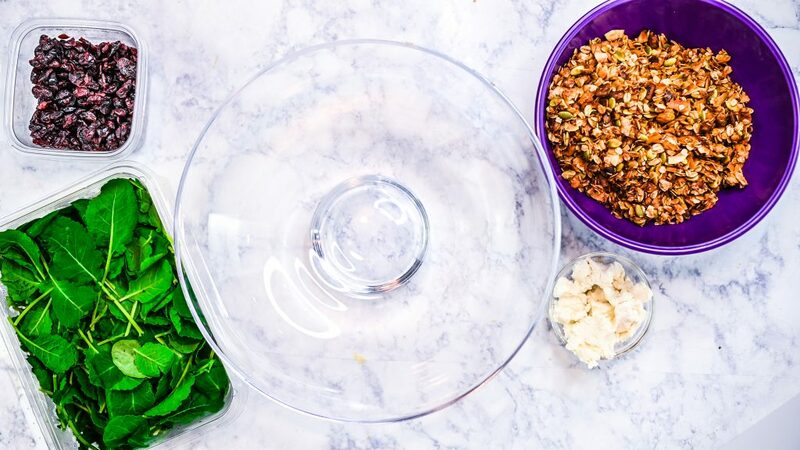 Throw together all your ingredients and toss with the dressing, right before service. 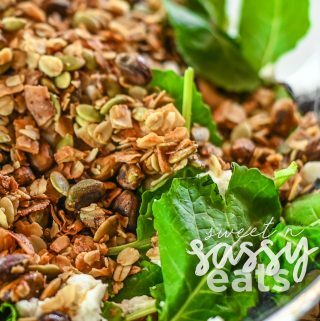 Everyone loves this salad, the delicious sweet & savory granola with the creamy goat cheese and bursts of sweet & tart cranberries is the perfect combination to pair with the tender baby kale. 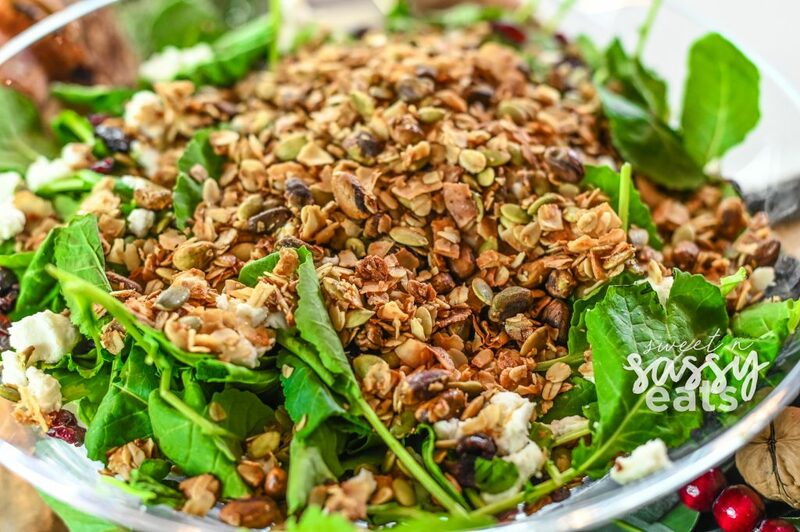 A holiday dinner is never complete without a very special salad, this one will be the perfect complement to any festive meal. 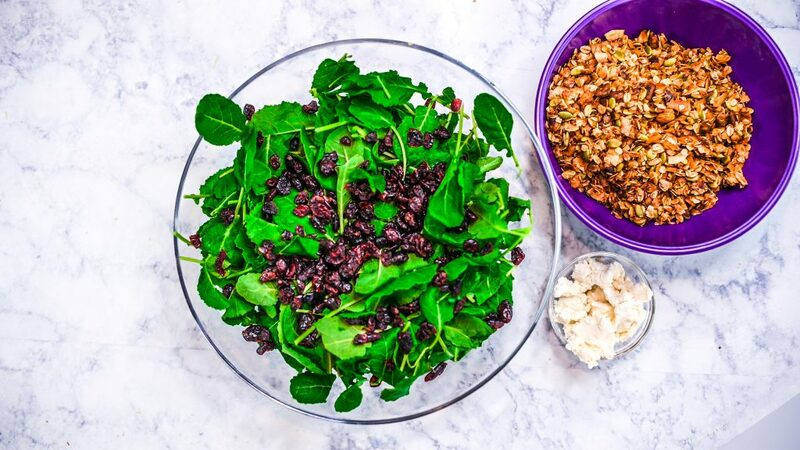 With a delicious sweet & savory granola with the creamy goat cheese and bursts of sweet & tart cranberries is the perfect combination to pair with the tender baby kale. For the granola, heat oven to 350F. 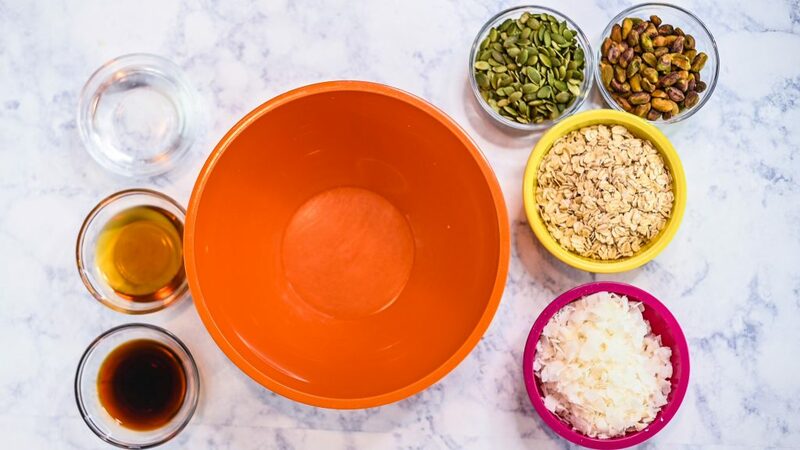 In a medium bowl, stir together the oats, coconut flakes, pumpkin seeds, pistachios, coconut oil, maple syrup, and soy sauce. Spread on a parchment-lined baking sheet. Bake for 10 minutes, then toss and bake again for another 10-15 minutes or until the oats are crisply toasted and fragrant. Remove from the oven and let cool completely. For the dressing, whisk together the avocado oil, balsamic vinegar, maple syrup, and dijon mustard. Season to taste with salt and black pepper. 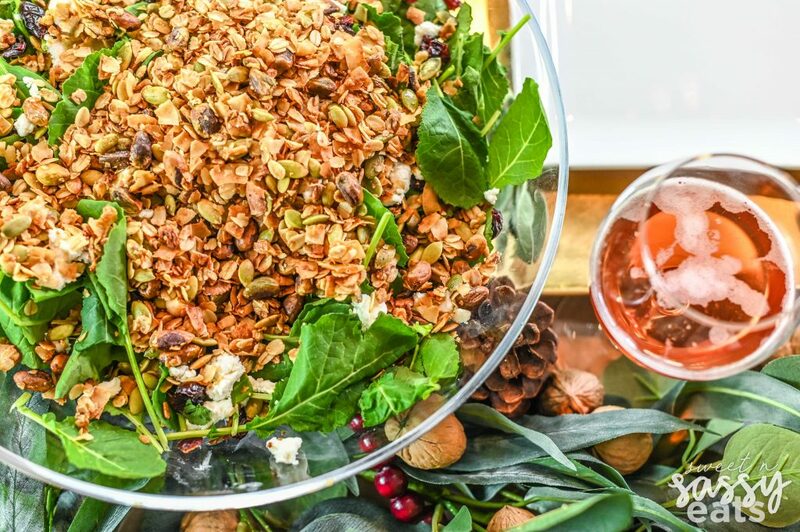 To assemble the salad, toss the kale, cranberries, goat cheese & granola together in a large bowl. Add dressing to taste.